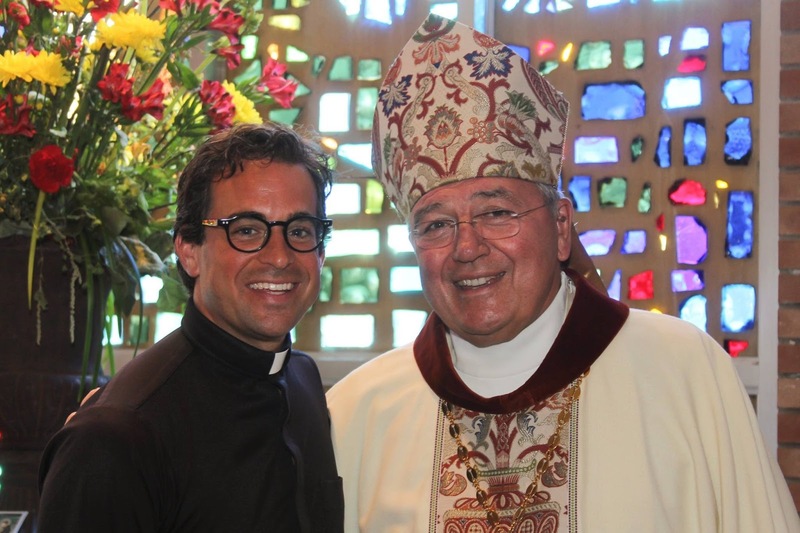 Recently Father Michael Denk sat down with Auxiliary Bishop Emeritus Roger Gries. “Bishop Roger” (as he is affectionately known to many) is a former Auxiliary Bishop of the Diocese of Cleveland. Having been ‘retired’ for the past two years, Bishop Roger remains very active within the Diocese and was gracious to let Father Michael spend some time with him while he was recovering from surgery not too long ago. The topic of discussion: prayer. Specifically Bishop Roger’s prayer life; how does he pray and to whom (God the Father, Son, or Holy Spirit)? There is no right or wrong way to pray, and everyone prays differently -priests are no exception. 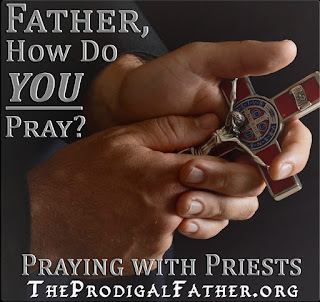 So Father Michael thought it would be interesting to see how some of his brother priests pray as well as what advice they’ve given to others over the years looking to grow in their own prayer life. 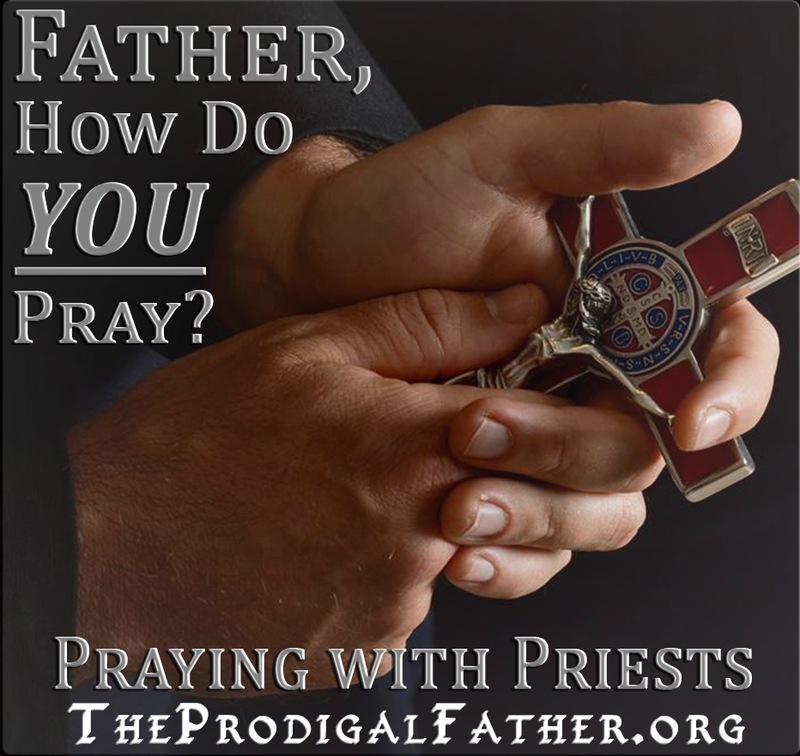 The resulting discussion has been compiled into a new and regular segment that will be posted to Father’s blog, called “Praying with Priests“. Join us for a conversation on prayer with Bishop Roger as he & Fr. Michael discuss his prayer life. Together they sit in his chapel, where Bishop Roger is in his favorite chair – a rocking chair which he call’s his “prayer chair”. And one could gather from its distinct creaky noise, the chair has gotten alot of use over the years – but that quickly dissolves as part of the ambiance of an intimate conversation on how a Bishop’s life has been molded and formed around what the Benedictines consider the most important part of one’s day, prayer. Bishop Roger begins the conversation with his childhood. He is a product of what he calls “unusual parenting”. His dad had studied in the seminary for 3 years, while his mother had spent 6 months with the Sisters of Charity at Saint Augustine. From his birth, their example was one of much importance and impact. In fact, it was the influence of his parents, that stemmed his desire for priesthood at an early age. Good formation was reinforced at home as child. As a young boy, Bishop Roger attended Catholic school and still remembers coming home having to memorize The Ten Commandments. He loved Mass so much that he would ‘play Mass’ as a child in the basement with his brother. He couldn’t wait until he was old enough to serve Mass, and as an altar server he began learning Latin. “It was a thrill for me”, he recalls. Bishop Roger says that he first felt the presence of God at his First Communion. He recalls it to be the “most thrilling moment” of his life, and to this day, the Mass remains the most integral part of his life. Bishop Roger went on to attend Benedictine High School, and it was through the encouragement of his varsity high school football coach that Mass and the Eucharist became part of his daily life. “Everyone shares in the priesthood of Jesus Christ through the Mass”, says Bishop Roger. After graduating, he became a member of the Benedictine Order at Saint Andrew’s Abbey, and was ordained on May 18, 1963. Bishop Roger looks at the Trinity as the three roles that God has – the Father, the Son, and the Holy Spirit. His favorite prayer is one of gratitude – for the gifts that he has been given in his capacity as Father, then Abbot, and later Bishop, to bring others closer to Heaven. Even to a Bishop, the concept of the afterlife is still mesmerizing, yet in a true sign of his faith – Bishop Roger says that “everything is possible with God and that evokes more joy than fear”. One shouldn’t be afraid of death, it is such a sacred time. In fact, Bishop Roger looks at every experience from Baptism to the Anointing of the Sick as a sacred moment of prayer. It is through the sacraments that God touches our life. One of his favorite and most performed sacraments is that of Confirmation, as it is a time for the evangelization of our youth. Bishop Roger also loves the symbolism found in the sacraments that is much too often easily overlooked because “that’s just the way it’s always been done.” His response is “Well, why has it always been done that way?” Much of it goes back to the Old Testament, such as the ‘laying on of hands’ -which is a symbol of sacrifice. In the Sacrament of Confirmation, through the ‘laying on of hands’, one is giving themselves over to God. That in itself is a sacrificial gift and it is in Confirmation that one becomes a full member of the Body of Christ. The ‘anointing of oil’ is more than just a symbol, it’s a fact that Jesus has claimed you as His own, and through that it is your obligation to speak God’s word by how you live your life. As a Father, then an Abbot, and now Bishop Emeritus, Bishop Roger has been in Church administration his whole life. A humble man, he has taken the opportunity on many occasions throughout his life to give thanks to God for giving him the gifts to serve within these roles. Bishop Roger admits that no one is perfect, and yes “even Bishops sin”, but that is why the Sacrament of Reconciliation is so important. “Confession is like a trip to the doctor for a check-up”, he says. It’s essential for everyone to go routinely, no matter if we are healthy or not. And if we aren’t healthy, it’s an opportunity for healing. In the monastery, particularly within the Benedictine Order, prayer always comes first and they stop 7 times a day to pray -everything else is scheduled around their prayer time. This comes from the Benedictine motto, ‘Tora et labora’ which literally translates to ‘pray and work’ . Notice ‘pray’ comes before ‘work’. The Benedictine way is to put prayer first then do what needs to be done. Lay people too can and should put prayer first in life. If we make it a priority to set aside time every day –just for 5 minutes– it takes discipline, but you will soon come to find it less of a burden and more of a source of energy, enthusiasm and grace in carrying on the work of the rest of your day. There is no right or wrong way to pray, we all pray differently. Priests are required to pray the Diving Office, which is the official prayer of the Church (lay people can pray it too). The Diving Office consists of readings throughout the day, along with hymns, psalms, a canticle, and other vocal prayer such as ‘The Lord’s Prayer‘. However, there are many less ‘organized’ ways to prayer. Mediation is great for lowering your blood pressure and it is the method of prayer that Bishop Roger prefers. People get caught up in trying to overdue mediation sometimes, then they get frustrated because they are trying too hard – all you need is some quiet time, then begin by initiating a dialogue with Jesus. Talk to Him about your life as you would a friend – tell Him what you are doing and how you are living your life. Before you know it, you will develop an inner dialogue with Him. This can be much easier said that done, especially with the constant interruption of modern technology. Life today is full of distractions, it’s easy to loose concentration and harder for busy people to be able to relax. Bishop Roger’s advice for people struggling to pray or grow in their prayer life is to set aside just a few minutes each day to unplug. If you can free your mind from all distraction, even just for a few minutes each day, making a priority to put yourself in the presence of Jesus, than eventually (after some discipline) once you put yourself into it, you can begin to feel it. A good place to do this is in Adoration in front of the Blessed Sacrament, because you are putting yourself in the presence of the Lord in the Eucharist. Whether you’re a beginner, or have been away from the Church for awhile, or are grieving the death of a loved one, where better to go than directly to Jesus in the form of the Eucharist? 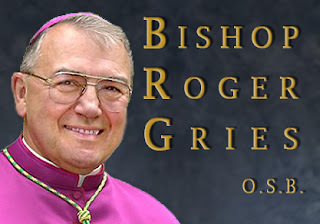 To listen to the entire interview with Auxiliary Bishop Emeritus Roger Gries, please click on the button below.